THE NEXT B2B FORUM OFFERS CORPORATIONS & STARTUPS A STAGE TO MINGLE, EXCHANGE IDEAS & DISCUSS THE FUTURE OF THEIR INDUSTRY. FIND MORE INFORMATION ABOUT SOME OF OUR PAST EVENTS HERE & HERE. 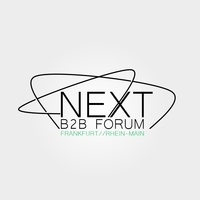 THE NEXT B2B FORUM IS ORGANIZED BY THE GLOBAL SHAPERS HUB FRANKFURT OF THE WORLD ECONOMIC FORUM. "The NEXT B2B FORUM was a great opportunity to foster engagement and collaboration between the startup and corporate world - Something we are massively lacking behind the US."